St Donatus is a spot on the map with a little dot accompanied by the colored text "Picturesque Luxembourger Village". The "village" looks like its only about five buildings, but they do look very nice, especially if you're driving through in the fall. This is in a hilly area near the big river, so the drives are always nice. Location: 100 N. Main St in St. Donatus (population 249) in Jackson County, near the top of the nose that is formed by the border of Eastern Iowa. Its about 15 minutes from Dubuque or 30 minutes from Galena, Illinois. Directions: This is right on the main street Highway 52 that runs through town. 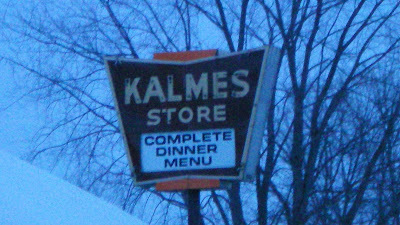 Online At: http://www.gehlenhouse.com/ is the online home of both the restaurant and the guest house is the historic buildings across the street. The website claims to offer special rates to outdoorsmen and fishermen passing through. 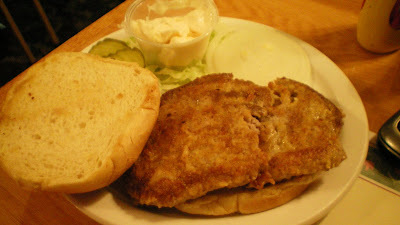 The Tenderloin: This is not the typical breaded pork tenderloin for a couple reasons. The first is that it isn't deep fried, its pan-fried with only a small amount of breading that gives it a different texture and very little grease. Second, its made with a special steak seasonings made here that give it a whole new flavor. Its not crunchy, and there is quite a salty taste to the whole thing. There is a great browning to the white cut of pork loin. Overall this is worth checking out, a 7.5 out of 10. 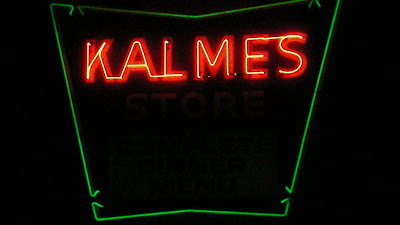 Also on the menu: This place falls into the trap of offering a big menu of ordinary dishes to a small town. There are a couple interesting Luxemburger twists, like homemade sausage, veal schnitzel, sauerkraut pizza and meats with their custom seasonings. Service: Its table service in the dining area, there is also a bar area. Ambiance: Its a historic building that has been remade several times, keeping the appearance of an Inn from the old country. 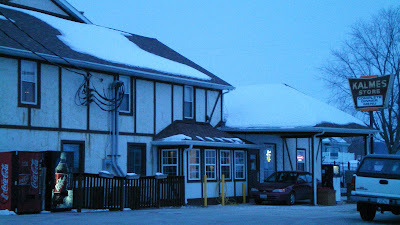 You must walk past gas pumps to get in, then proceed past some grocery shelves and a bar to the dining area. Hey thanks for the link. I am based in Des Moines and rearely make it to the Quad Cities, but TC's Point After has been near the top of my list for a while now. Its important to remember that the vast majority of pork tenderloins are made from pork loin. Tenderizing the loin makes it a "tender loin", or at least something you can call as such on a menu. 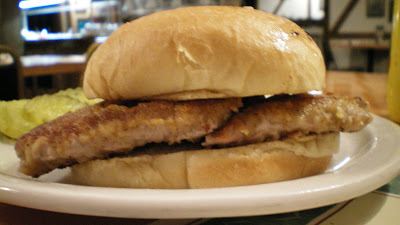 Only very few places use the tenderloin, it has a different consistency that doesn't work as well in a sandwich. I know its an hour drive, but for the absolute best tenderloin you may have to go to the Augusta in Oxford.